It’s 3.39am and as I lie here awake (yet again), I am listening to the call of a male Little Spotted Kiwi here at Shakespear Park. How do I know it’s a male? Because I used Mr Google to look up the call of the little spotted kiwi and listened to the male and female calls with my headphones on, then removing the headphones to listen to the call, then headphones back on again to confirm it was exactly what I was hearing. 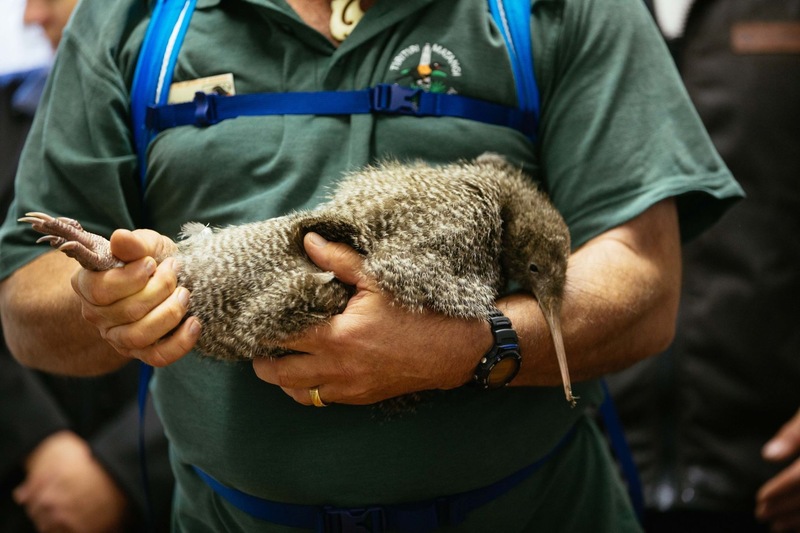 Last weekend another 20 kiwi were released into the park and again we were invited along to witness the event, however this time we were to have a little bit of involvement. 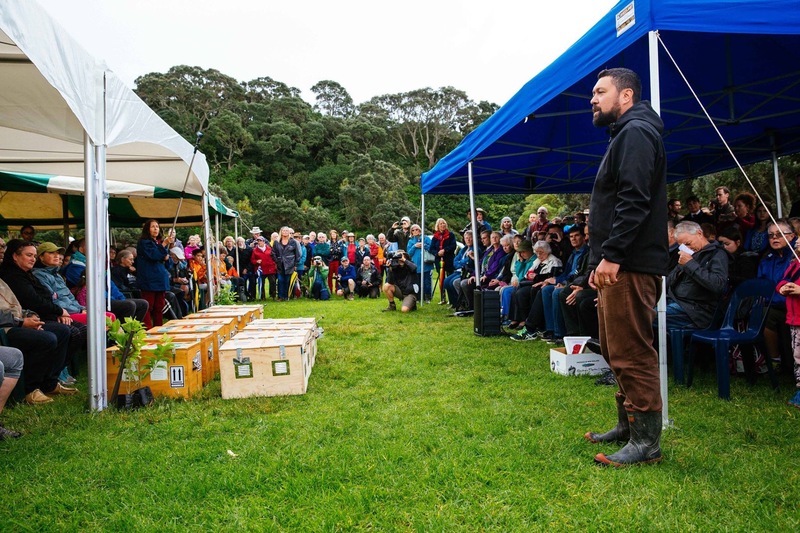 And this time last year we were fortunate enough to be invited to the release of 20 kiwi into the Shakespear Open Sanctuary it was a very special and moving event which you can read about here. 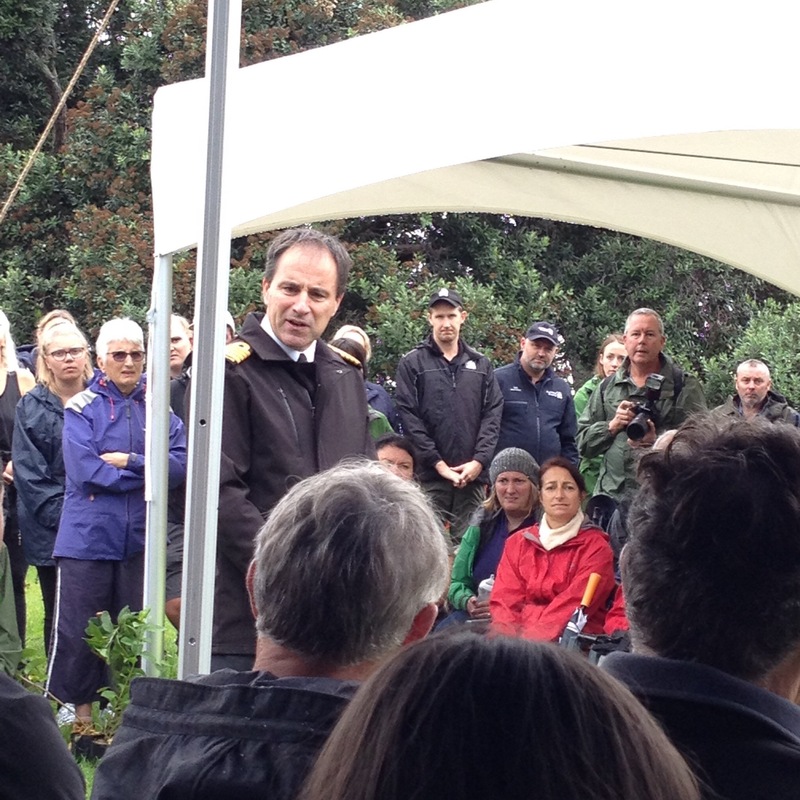 The crowds gathered; invited guests, representatives of iwi, Navy, SOSSI, council and interested groups were present. Earlier we had assisted putting up the marquees and setting out the chairs as well as helping with the portioning of all the afternoon tea cakes and slices to accompany a cuppa later in the afternoon. We arrived to watch the ceremony and took our place at the back of the crowd. However, we were not there for long before being asked if we would like to participate in the event by carrying out the kiwi in their boxes and then return them to their handlers. Of course we jumped at the chance to be part of this special event. That meant that I was unable to take many photos so the only ones I have are ones that others have taken. that’s Roy at the back of the procession (I’m on the other side of him) with Pat & Sue just in front of us. These kiwi are the little spotted kiwi, there are not many of them on mainland New Zealand with half of theses kiwi coming from Kapiti Island near Wellington and the rest from Tiritiri Matangi Island just off Auckland. 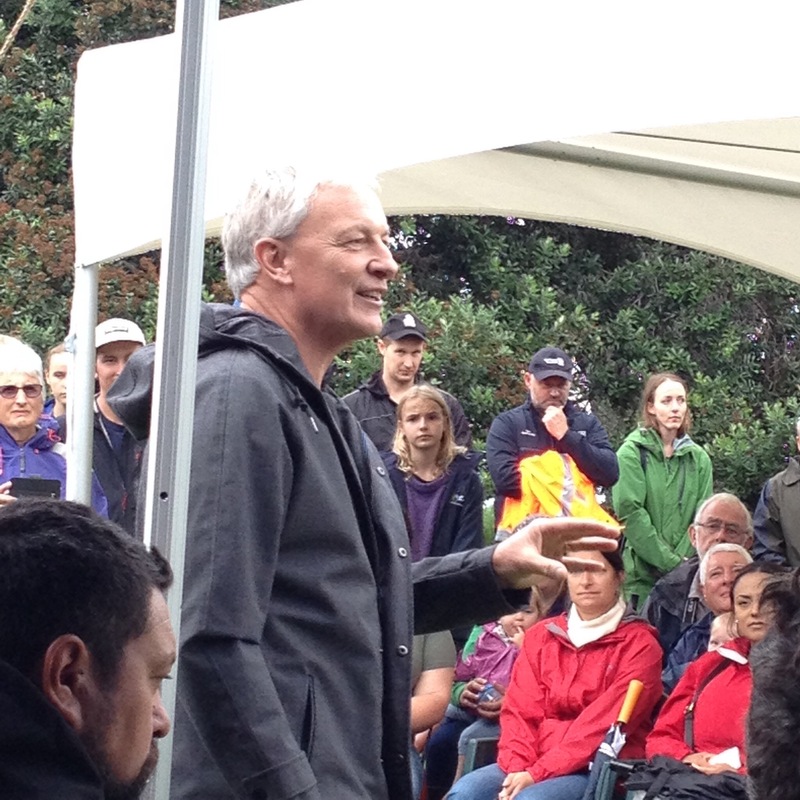 Speeches were made, Karakia sung, before we had to pick up our charges and return them to their quiet zone where a few of them were introduced to the crowds by their handlers. 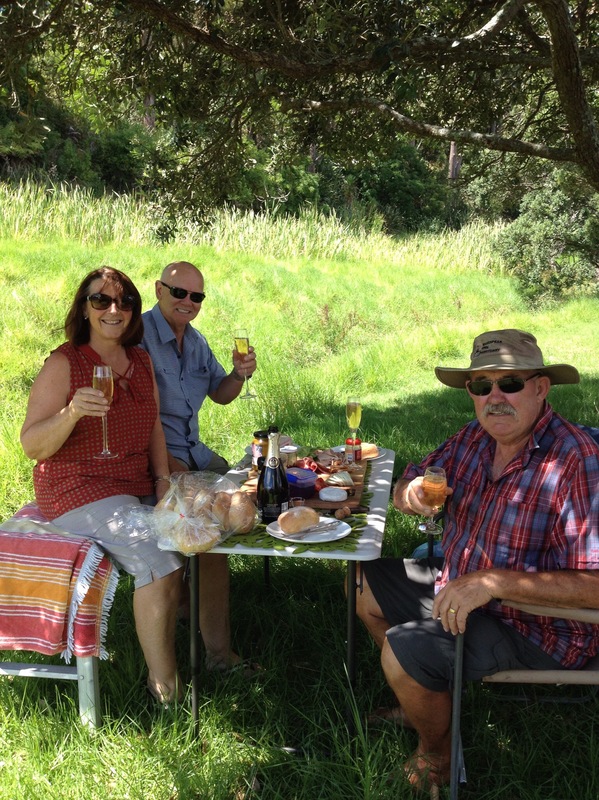 our charges…Waikawhia and Hugh or better known by their monitored tracking numbers 53 and 63. Ginny, one of the volunteer trained handlers, getting up close to a kiwi. 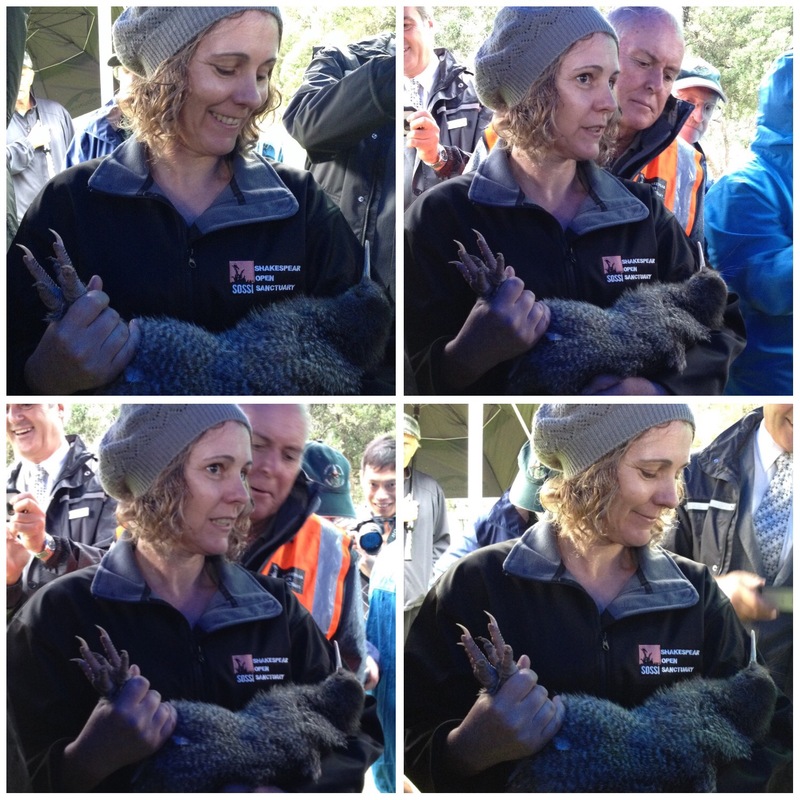 Kiwi were later quietly released around the park where they will hopefully breed and flourish. I look forward to many more nighttime calls. 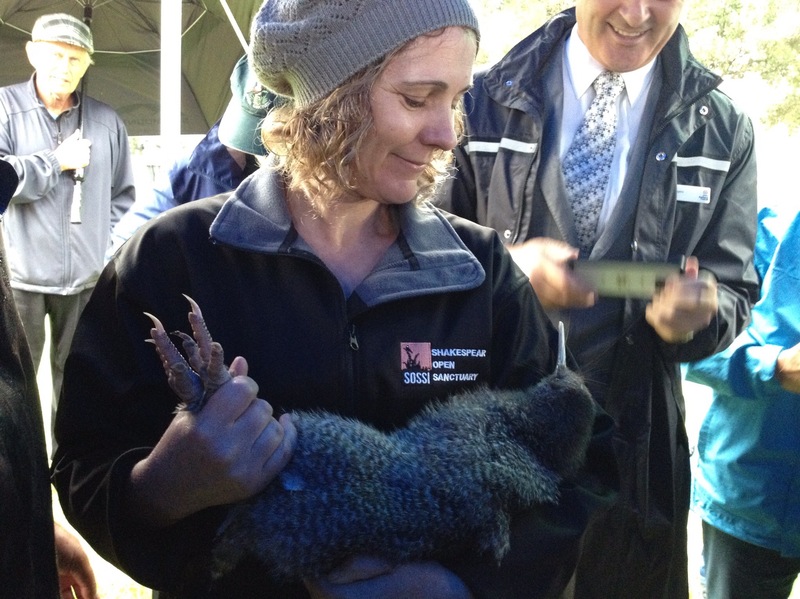 Last Saturday, the little Spotted Kiwi were returned to Shakespear Park. 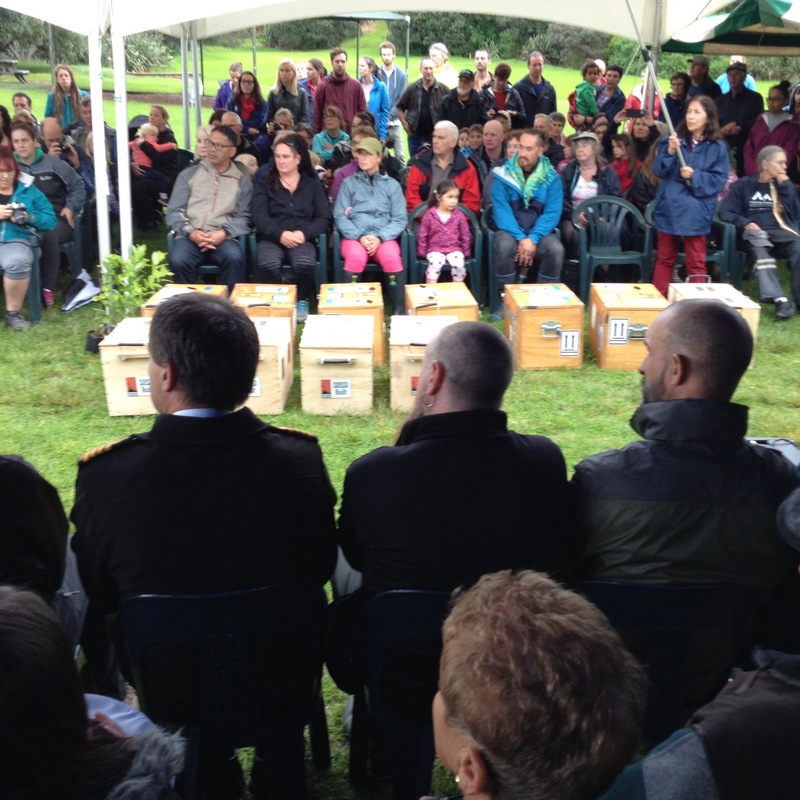 These are the first Little Spotted Kiwi to be brought back to the greater Auckland Region, the second group to have a habitat on mainland New Zealand and are the second rarest Kiwi so it was with great ceremony that they were delivered to the Park. Roy and I were privileged to be invited to view the proceedings and it was good timing as we had returned to Auckland for a few appointments the previous couple of days and were staying at our second “home” with my brother Steve & sister-in-law Leslie before heading back to the van at Uretiti. But back to the main event. According to Wikipedia the little spotted kiwi or little grey kiwi, Apteryx owenii, is a small species of kiwi that in pre-European times occurred in both main islands of New Zealand. Around 1900, a population was trans-located to Kapiti Island for conservation purposes. Little spotted kiwis are the smallest species of kiwi, at about 0.9 to 1.9 kg (2.0–4.2 lb), about the size of a bantam. After they were released on Kapiti Island, they were also moved to Red Mercury Island, Hen Island, Tiritiri Matangi Island, and Long Island in the Queen Charlotte Sound. In 2000, about 20 little spotted kiwis were released into Karori Wildlife Sanctuary. This was the first time since about 1900 that little spotted kiwis could be found on the mainland of New Zealand. Now they have a second Mainland home ie. 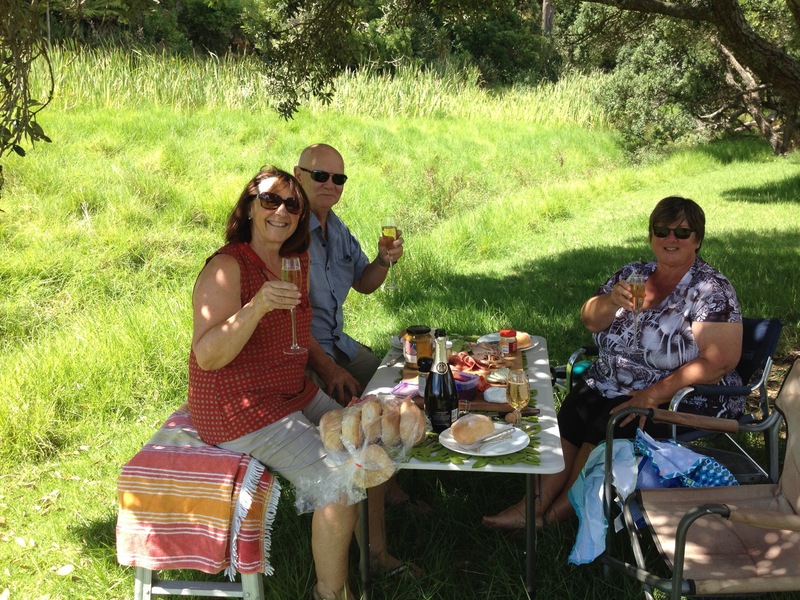 Shakespear Regional Park. 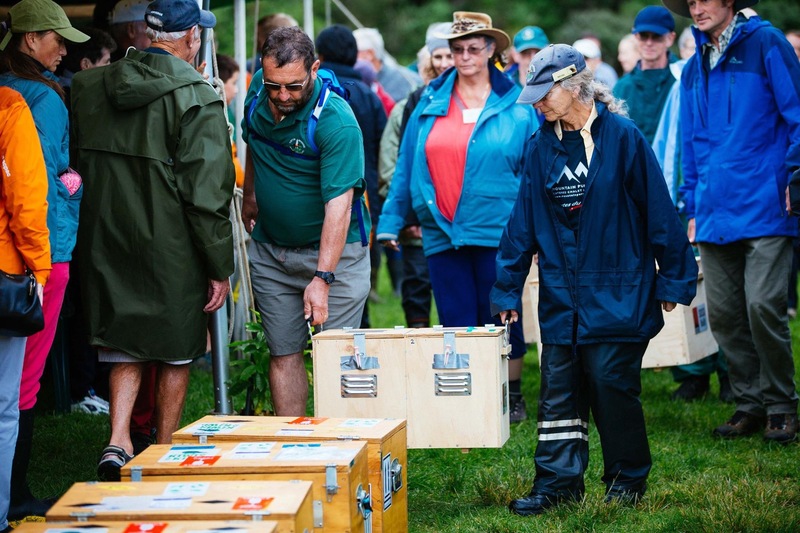 The Kiwi were delivered to the ceremony site by selected personnel with the kiwi transported in specially made boxes which had been lovingly made by SOSSI (Shakespear Open Sanctuary Society Incorporated) volunteers over the previous few months. 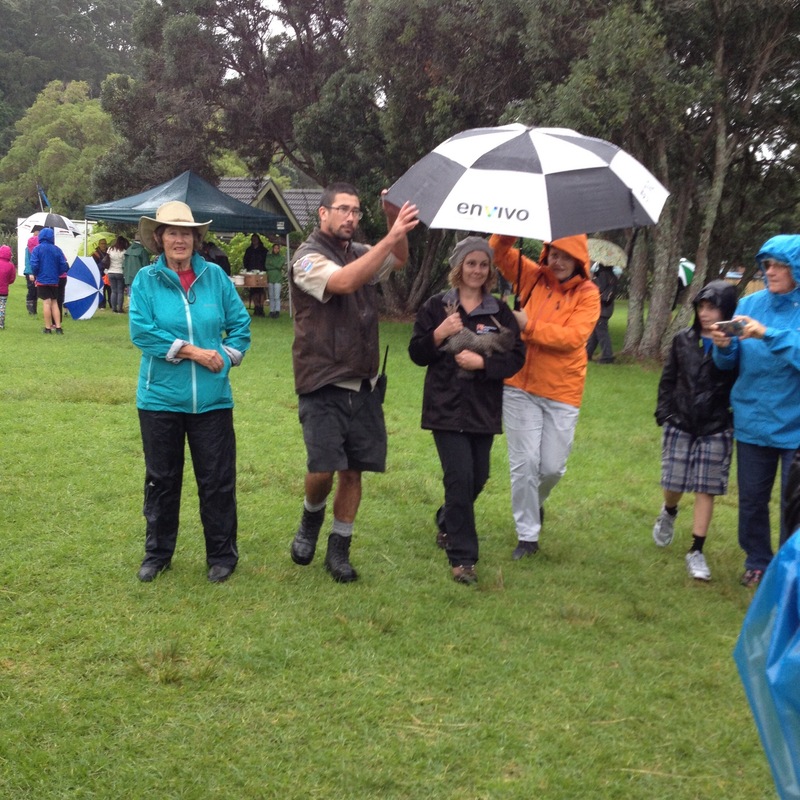 The Kiwi and guests were welcomed by local iwi with a powhiri. Iwi representative delivering welcome speech. 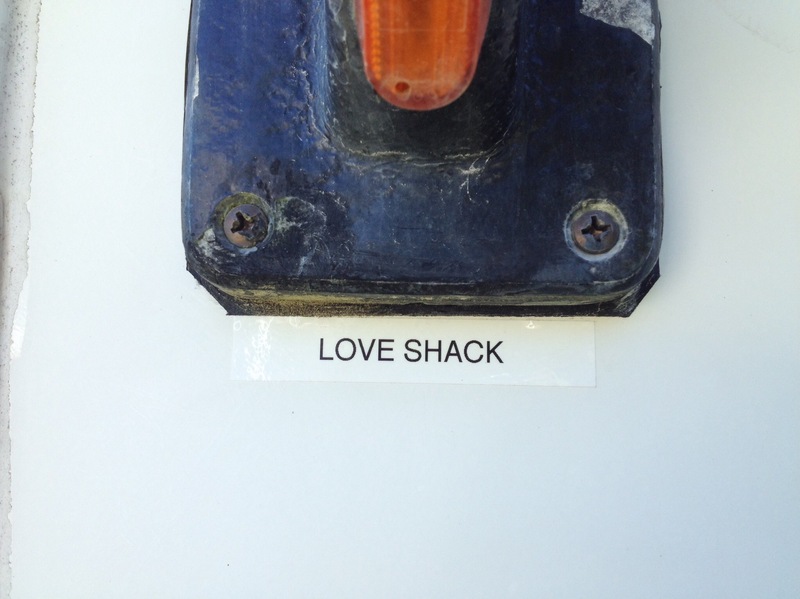 The Defence Force, namely the Navy, share some of the headland and fence line with the Park and work together with park staff in enhancing the area. Unfortunately I missed taking a picture of the very moving and powerful powhiri and karakia given by the Kapiti Island iwi representatives as I was too busy listening. And why were Kapiti Island Iwi present? The 10 female birds being introduced were from Kapiti Island just off the Wellington Coast, and the 10 male Kiwi were from Tiritiri Matangi Island which is an island in the Hauraki Gulf just 3kms offshore from Shakespear. 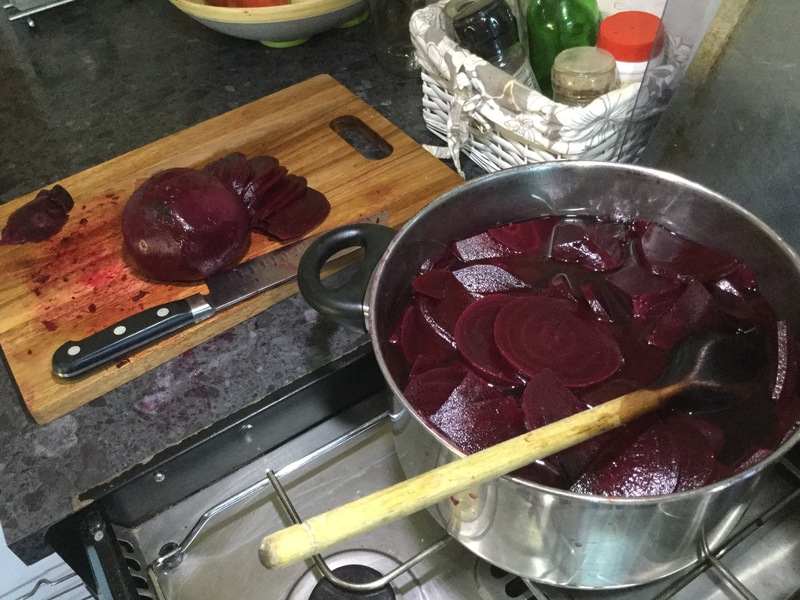 The mixing of the birds ensures there will be genetic diversity in future offspring. After all of the speeches the birds were returned to their shelter. We were then told that a few of the birds would be brought out for us to be able to see close up, whilst ensuring they would be carefully handled we were asked to be very quiet so as not to frighten the nocturnal creatures. We had presumed that the birds would be brought out in the boxes as we knew that perspex lids had also been made for the boxes. What a pleasant surprise we had when we saw that the birds were being carefully brought out by handlers, cradling them in their arms like they would a newborn baby. Each bird had a handler, a volunteer umbrella holder and a Ranger to bring them out to see us. This bird was brought out by Ginnie. Ginnie is the organiser for the Junior Ranger programme run at the Park which we are very involved with over the summer months. 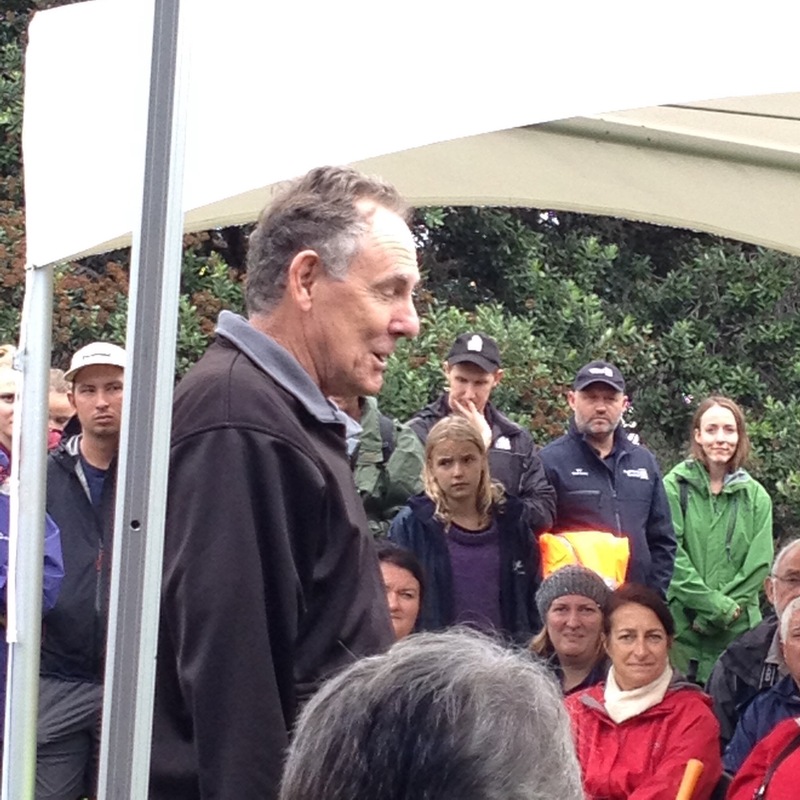 The Kiwi were released into their new habitat later in the afternoon, away from the glare of onlookers. We look forward to hearing their calls in the night next time we return.